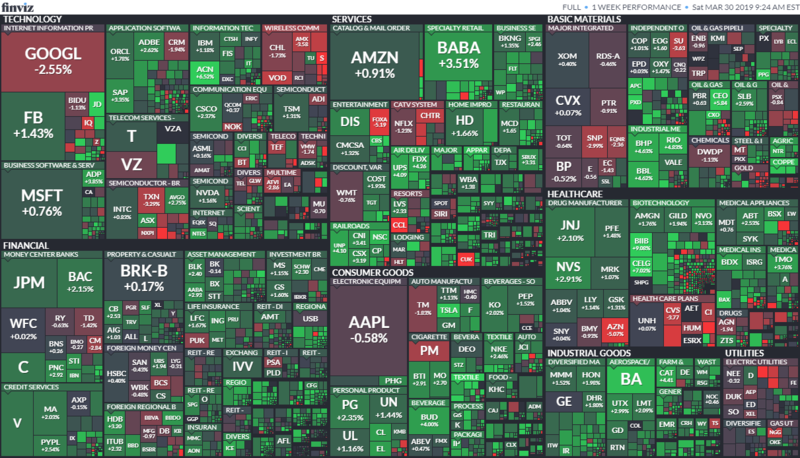 Welcome Stockaholics to the trading week of April 1st! March's jobs report Friday is the big focus for markets in the week ahead, after February's surprisingly weak 20,000 payrolls raised doubts about the labor market's strength. Manufacturing data from the U.S. Monday and from China over the weekend could also set the tone as trade talks continue between the two countries. Stocks start the second quarter propelled by the best quarter in nearly a decade and the best start to a year since 1998. But the markets also face a reality check in the week ahead with some key data that could help clarify whether the economy is losing steam or just stumbling through a soft patch. 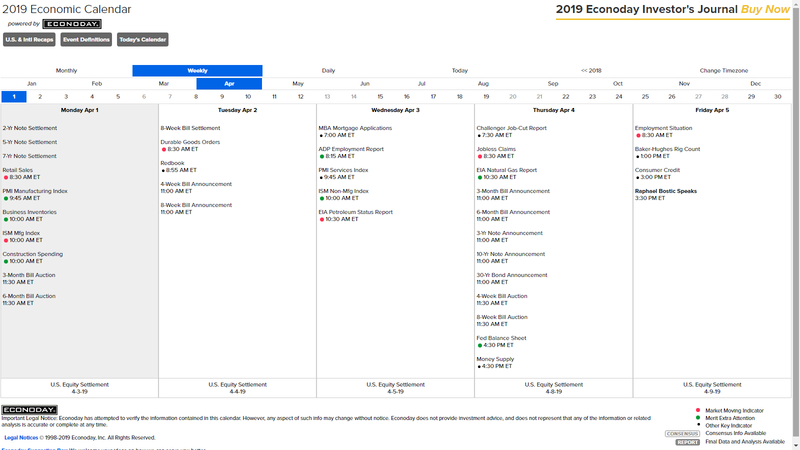 The key release is Friday's March jobs report, with economists expecting 170,000 new nonfarm payrolls, after February's deeply disappointing 20,000 jobs, according to Refinitiv. 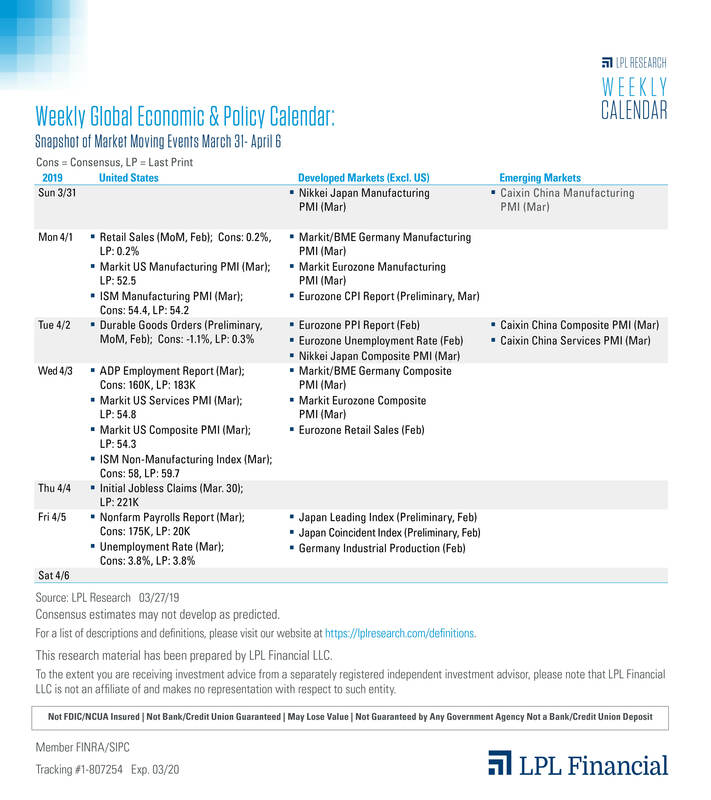 There is also important manufacturing data from China over the weekend and the U.S. on Monday. 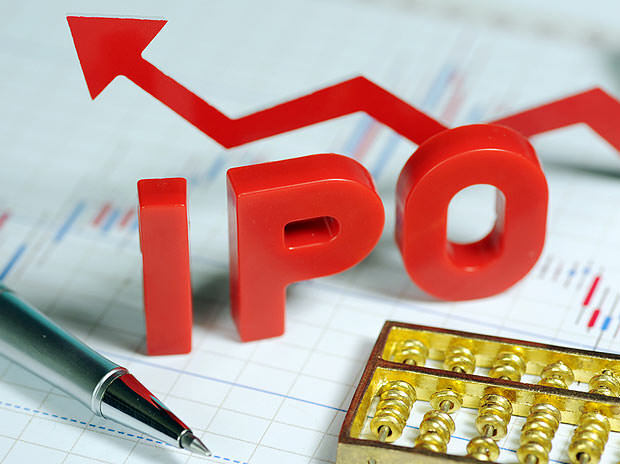 Lyft Inc's big IPO Friday on the back of Levi Strauss the week earlier has boosted some optimism for a year of new offerings that some analysts say could rival or surpass the more than $100 billion record of new issues in the year 2000, if conditions remain good. "The Levi Strauss IPO and the success it had last week encouraged many of these companies to accelerate their timing," said Michael Arone, chief investment strategist at State Street Advisors. "IPO issuance has been modest relative to history for the last couple of years, so the fact we're finally seeing some companies come to market may signal some kind of optimism or confidence, but it's far from the type of thing we've seen historically in terms of the euphoria surrounding it." 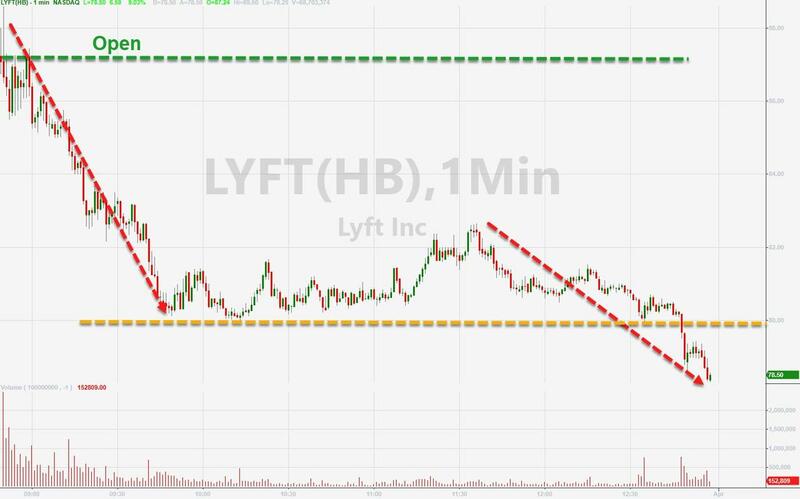 "In general, big IPOs tend to drive general enthusiasm for the overall market until they don't do well," said Hogan, noting the follow through trading in Lyft, the biggest IPO since Alibaba went public in 2014. Lyft, priced at $72, surged about 20 percent on the opening but closed up just about 8.7 percent at $78.29. "That needs to be reconciled form my perspective. It wouldn't shock me if companies doe better than expected, and end up with positive year-over-year comparisons," said Arone. Analysts expect a deal in the coming months. "We're likely to get some type of negotiated deal that both sides can claim victory on, where China will buy more U.S. goods, where there is some progress on U.S. intellectual property and technology transfers...But I don't see a deal that's going to be a game changer...a big move in one direction. 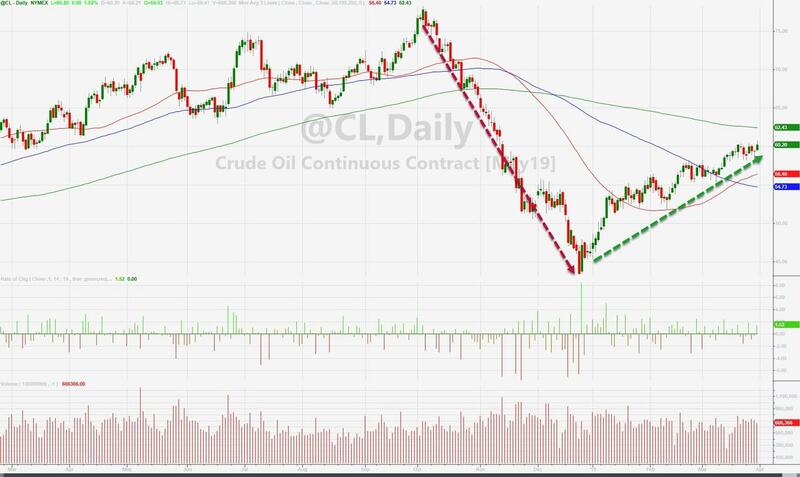 I think the market has accepted that reality," said Arone. 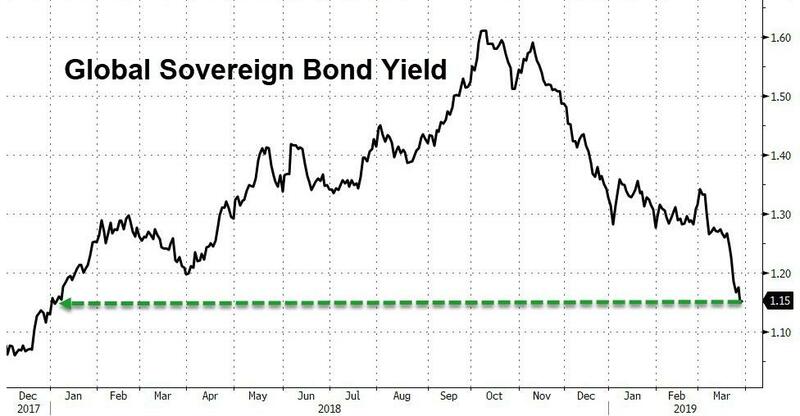 The bond market also moved to price in a Fed interest rate cut this year, after pricing in a hike just several months ago. 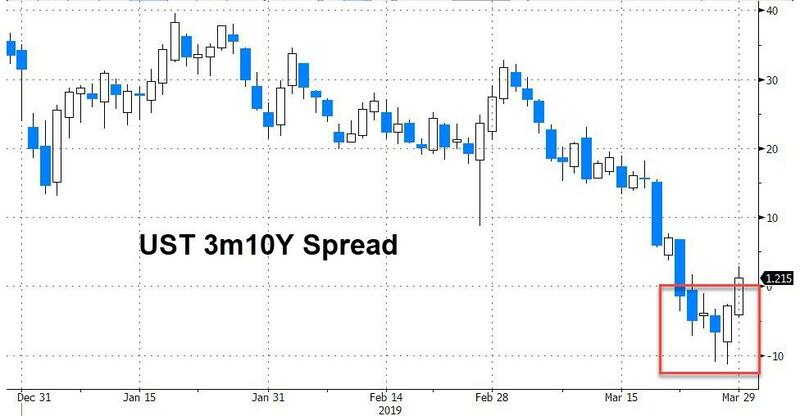 That was in response to the Fed's forecast for no more rate cuts this year, released after its March meeting. It had been forecasting two interest rate hikes previously. The fed funds futures now is priced for a quarter point of easing this year and another next year. The economy's growth definitely slowed down in the first quarter and growth was tracking at about 1.5 percent, after the 2.2 percent gain in the fourth quarter. Economists have expected the weakness in the first quarter, both due to the government shutdown and bad winter weather, to be temporary but the question is whether growth can get a jump start in the second quarter. "The jobs number is key here," said Wilmington Trust chief economist Luke Tilley. The February report showed just a tenth of the job creation many economists had expected. "Our best thinking it it's statistical volatility, and it's not a real indication of what's going on in the labor market, and it will bounce back. That's the most important thing that's coming out next week....We think about 200,000 jobs were added. I think there's some upside risks to that." February's delayed U.S. retail sales report is also expected on Monday. Retail sales are expected to have gained 0.3 percent in the month, up from 0.2 percent in January and December's shocking decline. Steve Massocca, managing director at Wedbush Securities, said he's watching for any sign of inflation in wages when the jobs report is released Friday. The Fed's preferred PCE inflation index showed sluggish inflation growth, up just 0.1 percent in February. 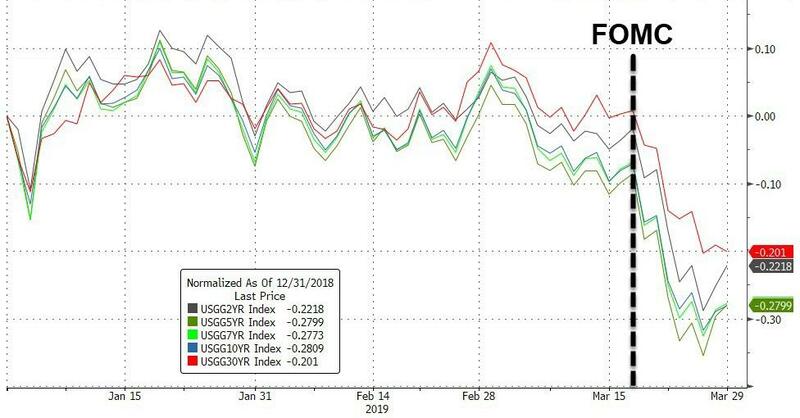 "I don't think [the data] is as big an issue as it was when the Fed was actively talking about raising rates," said Massocca. 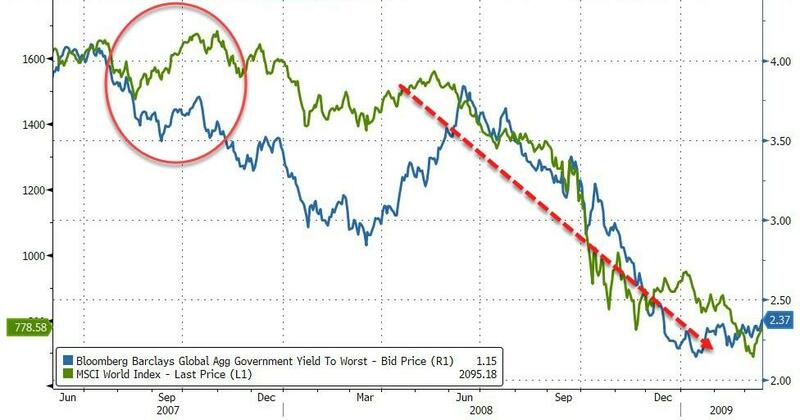 "They said publicly they're not going to raise rates for the rest fo the year." 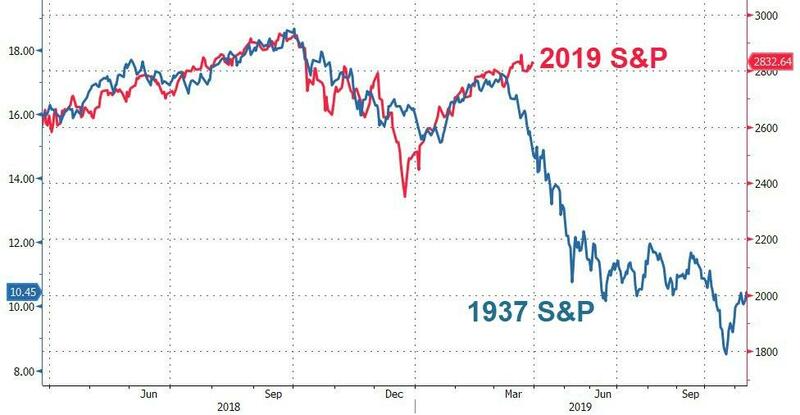 We have seen this before...and it did not end well. April marks the end of our “Best Six Months” for DJIA and the S&P 500. On April 1st, we will begin looking for our seasonal MACD sell signal and corresponding early signs of seasonal weakness. Even in historically strong pre-election years the “Worst Six Months” have been lackluster on average. The first half of April used to outperform the second half, but since 1994 that has no longer been the case. The effect of April 15 Tax Deadline appears to be diminished with numerous bullish days present on either side of the day. Traders and investors are clearly focused on first quarter earnings and guidance during April. 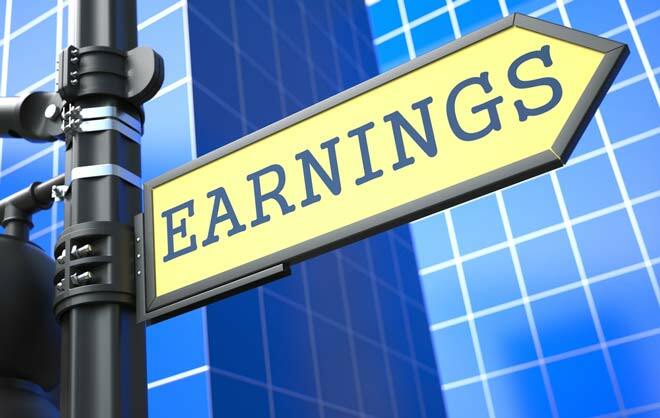 Exceptional Q1 earnings and positive surprises tend to be anticipated with stocks and the market moving up in advance of the announcements and consolidating or correcting afterwards. Typical pre-election year strength does bolster April’s performance since 1950. 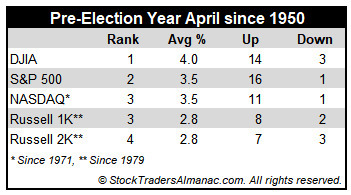 April is DJIA’s best month in pre-election years (+4.0%), second best for S&P 500 (+3.5%) and third best for NASDAQ (+3.5%). Small caps measured by the Russell 2000 also perform well with gains (+2.8%) in seven of ten pre-election year April’s since 1979. 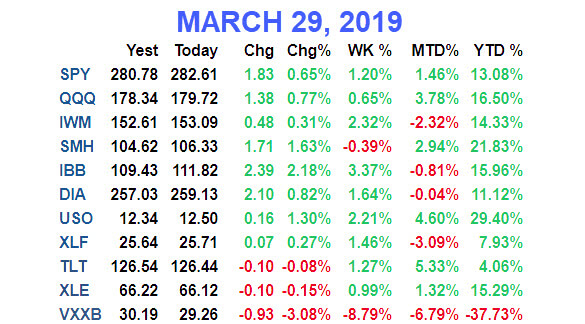 According to the Stock Trader’s Almanac 2019, the first trading day of April is DJIA’s fifth best first trading day of all months based upon total points gained. Looking back at the last 25 years, in the tables below, we can see DJIA and S&P 500 have both advanced 75.0% of the time (up 18 of last 24) with average gains right around 0.4%. NASDAQ and Russell 2000 have slightly weaker track records but are both still up more frequently then down. Last year, April’s first trading day was dealt a blow with losses exceeding 2% by S&P 500, NASDAQ and Russell 2000. The Bespoke Report — Good, Bad, Or Ugly? Stocks have basically held the line this week despite huge moves in interest rates and an ongoing rough run for global economic data. 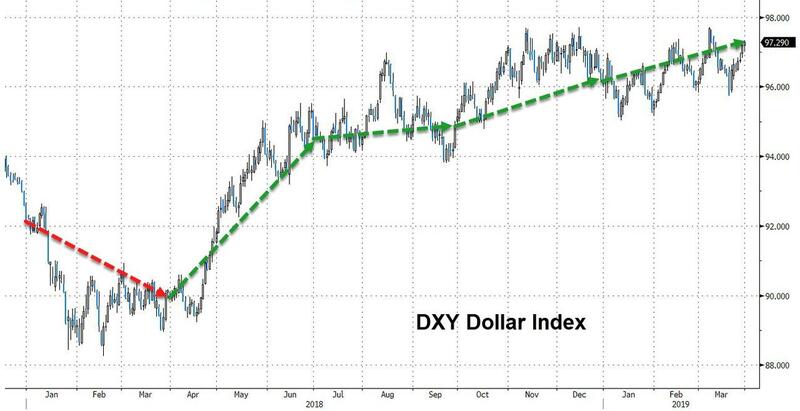 Curve inversion has many forecasting a recession, and we’ve seen a number of recent data releases that make us much more nervous about that outcome than we have been in almost a decade. 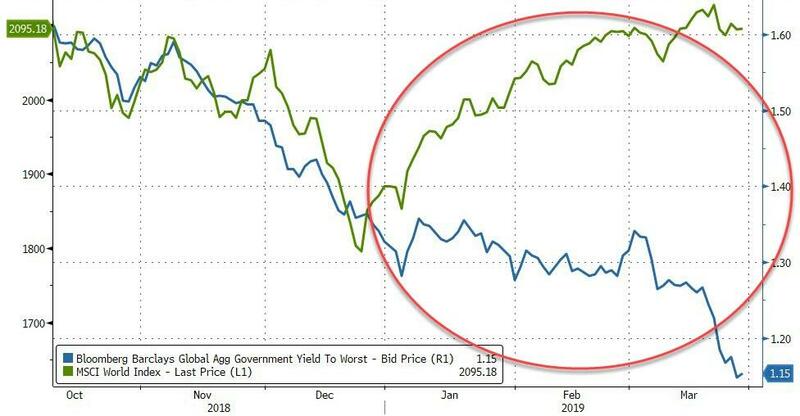 On the other hand, the pivot to dovishness from global central banks, the relatively modest size and scale of yield curve inversion, some nascent signs of bottoming in global growth, and the nature of the plunge in interest rates are all reasons to not panic. 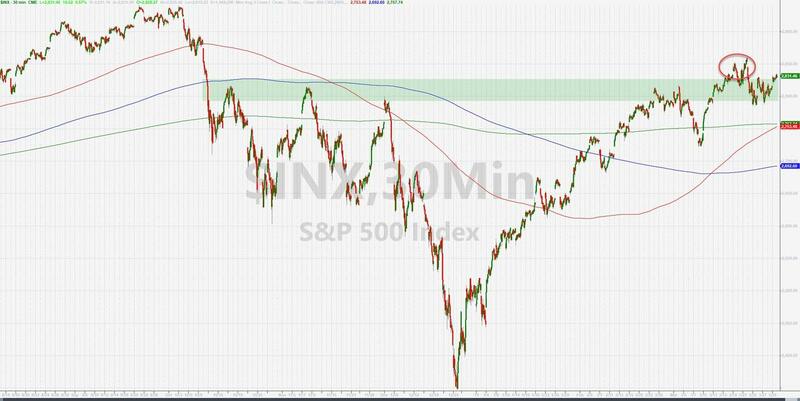 Besides, despite all of the negativity US stocks have held up admirably well, and markets that trend higher on bad news are generally regarded as strong, rather than weak. 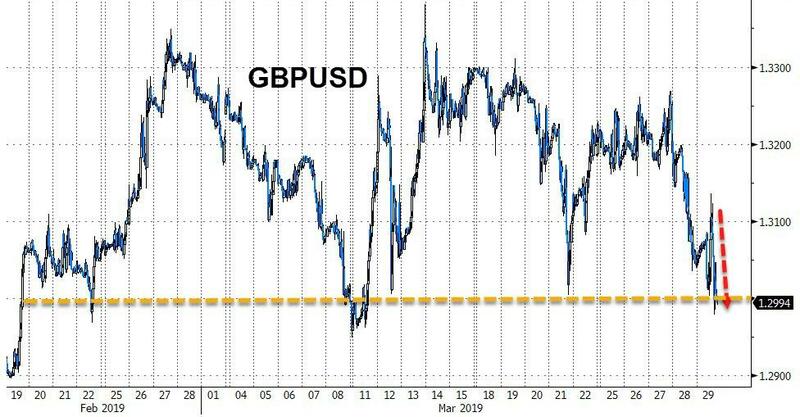 In short, the outlook could be Good, Bad, or Ugly…depending how you read the tea leaves! 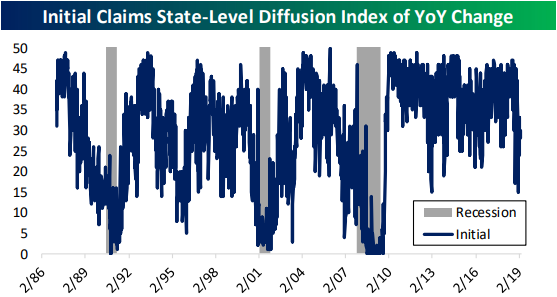 With sentiment where it was at the end of last year following the Q4 rout in equities, it’s safe to say that not a lot of investors were expecting double-digit gains in the first quarter. 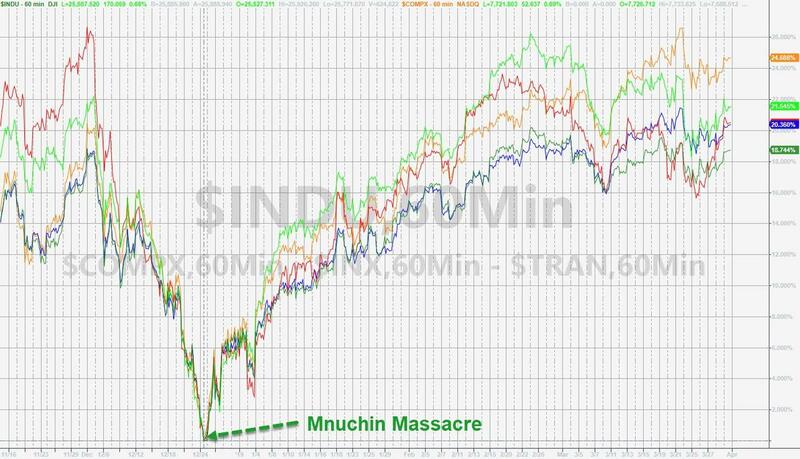 That’s exactly what we have seen in US equities, though, as the major averages are all up over 10% YTD heading into the final hours of the quarter. 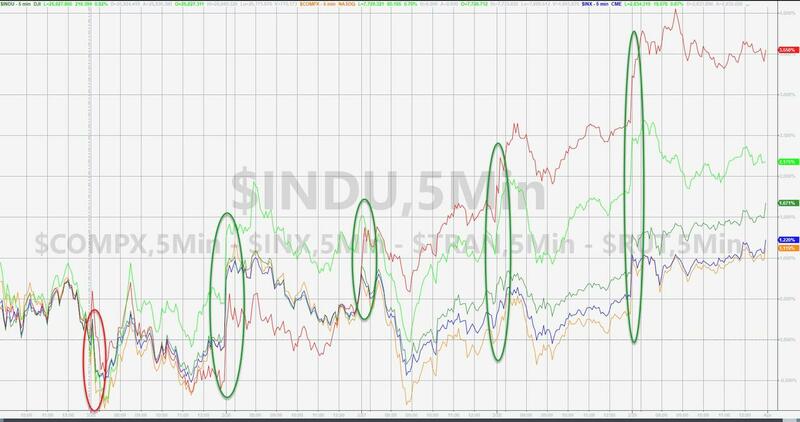 While the Dow has lagged many of its peer indices this year, it too is still on pace to finish Q1 with a gain of just over 10%. 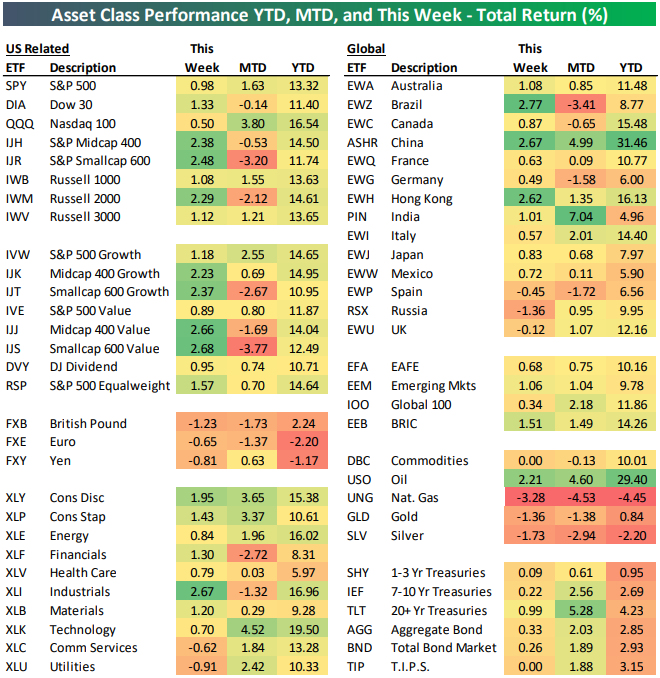 In the table below, we show how each of the 30 components in the DJIA have performed on a YTD basis as well as how much they have contributed to the index’s total gains. Remember, the DJIA is a price-weighted index, so the sole determinant of a stock’s weight in the index is its price. Looking at the table, you’re likely not the only one doing a double-take at the two stocks that top the list of best performers in the index so far this year. 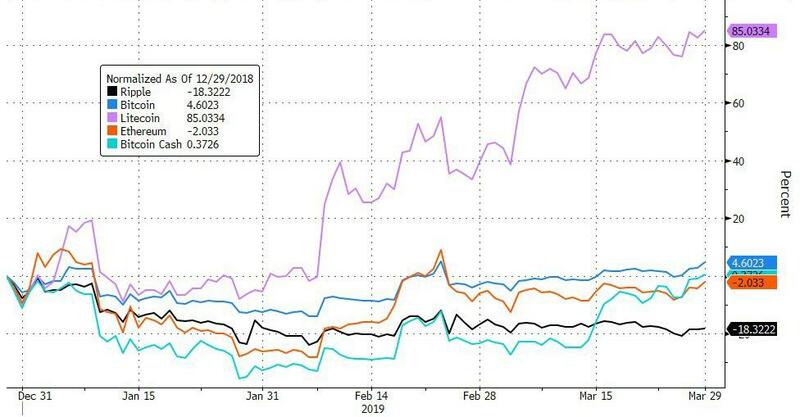 That’s right, Cisco (CSCO) and IBM have been the index’s two top performers in 2019 with gains of nearly 24%. Behind these two stocks, United Technologies (UTX) and Apple (AAPL) are the only two other stocks that are up 20% or more. 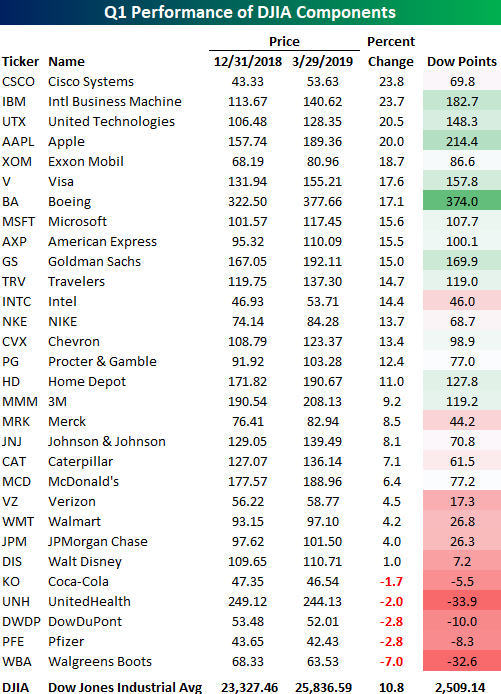 To the downside, just five stocks in the DJIA are in the red on a YTD basis. Leading the way lower, Walgreens Boots (WBA), the newest stock in the index, has declined over 7%, but none of the four other stocks are down more than 3%. 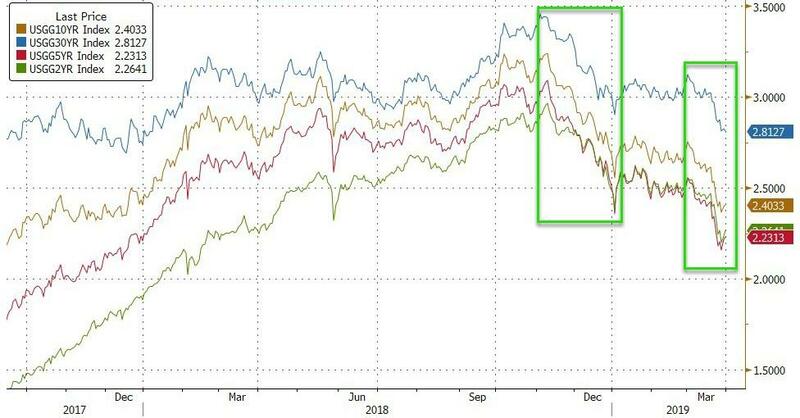 Because the DJIA is price-weighted, the best-performing stocks in the index haven’t been the biggest contributors to the YTD gains. 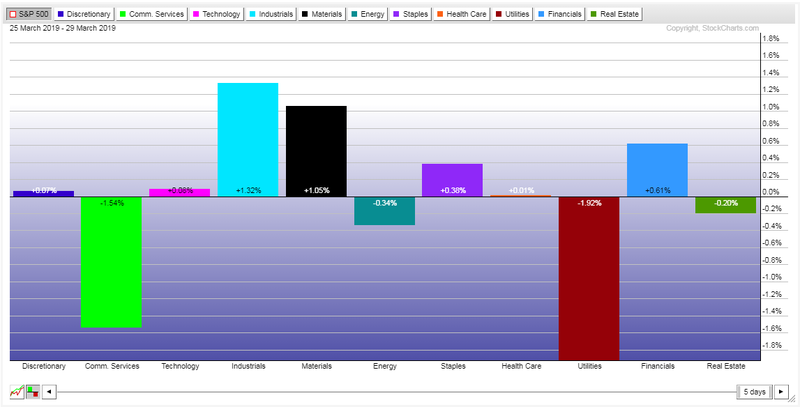 The chart below shows how many points each stock in the index has contributed to the YTD gains. Looking at things this way, you may be surprised to see that Boeing (BA) still tops the list. With its 17% YTD gain and very high share price, BA has contributed 374 points to the DJIA’s upside this year, beating out the next closest component (AAPL) by 160 points! All else being equal, BA could fall another 23 points (6.0%) and it would still be the largest contributor to the DJIA’s YTD gains. As we discussed in last night’s Closer and a blog post yesterday, weekly initial jobless claims moved back to 211K, the lowest in over two months and a pretty healthy print. 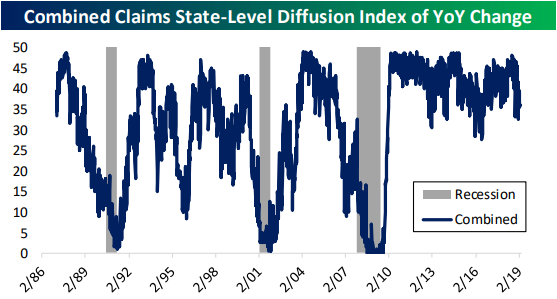 While initial claims have been fairly volatile and more recent prints have been reassuring that recent highs are not a new trend, continuing claims have more steadily been working their way higher. We made a diffusion index of the 50 states using this data to get a better idea of the health of these labor market indicators. In these indices, higher readings indicate more state-level claims falling, while lower numbers indicate more state-level increases. 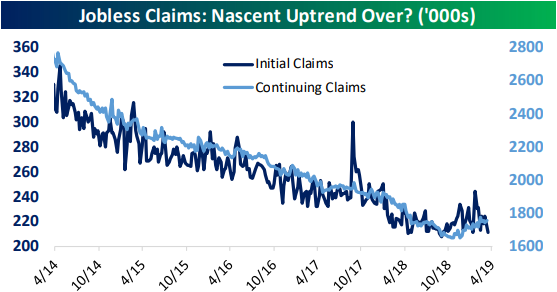 The index for continuing claims continues to appear fairly healthy. The index number has fallen, meaning an increasing number of states have been seeing increases in jobless claims, but this is far outweighed by states still seeing declines. 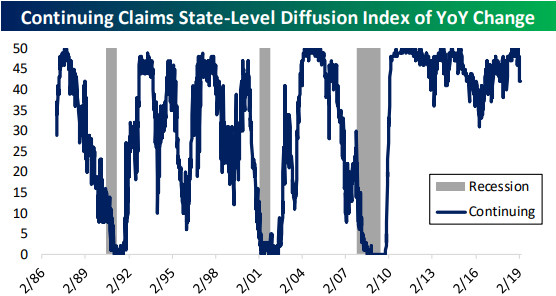 The diffusion index for initial claims, like the headline numbers, are telling a different story. 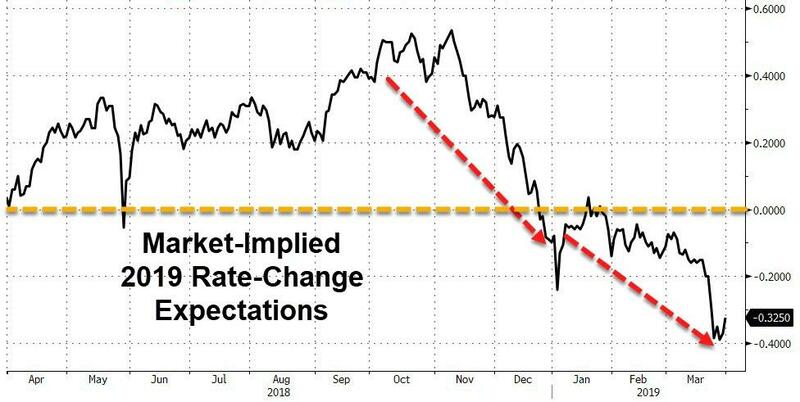 On January 19th, the index had fallen as low as 15 which was the weakest reading since 2012. More recently, though, the number has been stronger, coming in at 28 this week; down from 30 last week. Averaging the two, the current reading is 36. Overall that is neither a strong or weak number, but it is still in stronger shape than the past several years lows in 2016. 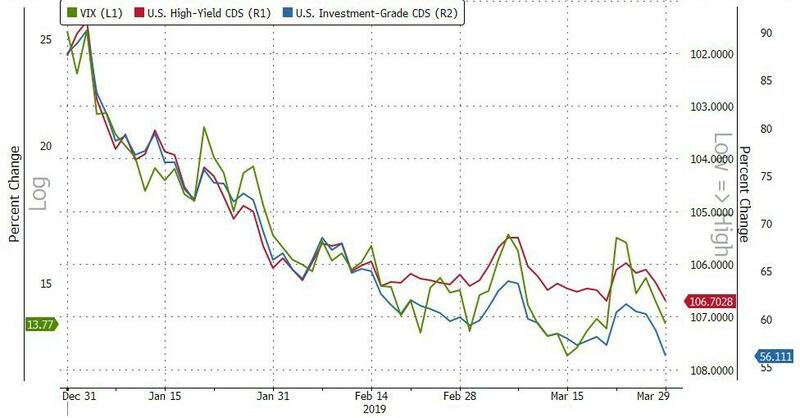 All in all, while claims have improved in the past few weeks and are not flashing recessionary signs, they should continue to be watched for signs of further deterioration. 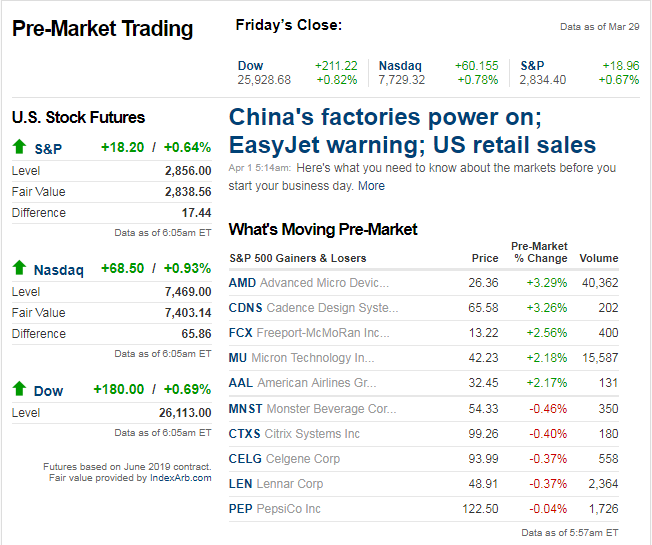 Equities around the world have been looking to close out the quarter on a positive note, and China was no exception. 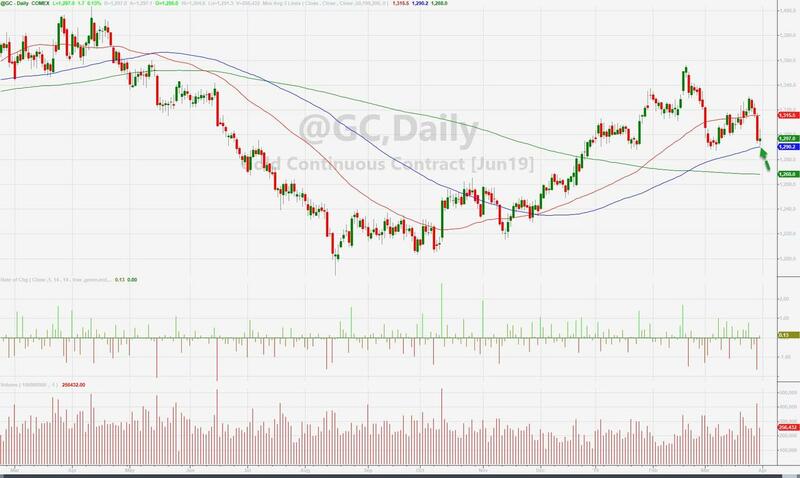 With trade US and Chinese trade negotiators reportedly making progress in the always on the horizon trade deal, the Shanghai Composite ripped 3.2% higher in the last trading day of the quarter and nearly erasing all of the week’s prior losses. For the entire quarter, the index finished up just a hair shy of 24%, putting it at the top of the list in terms of major international stock market returns. 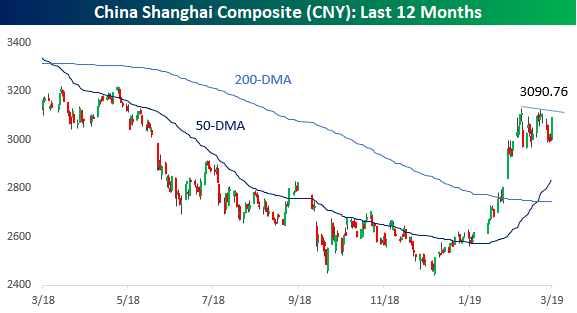 While Chinese stocks finished the quarter strong, it is important to point out that during this consolidation phase the index has been in for the last several weeks, it has made a couple of lower highs. Ideally, we would like to see some follow-through next week from this Friday’s rally to break that string. 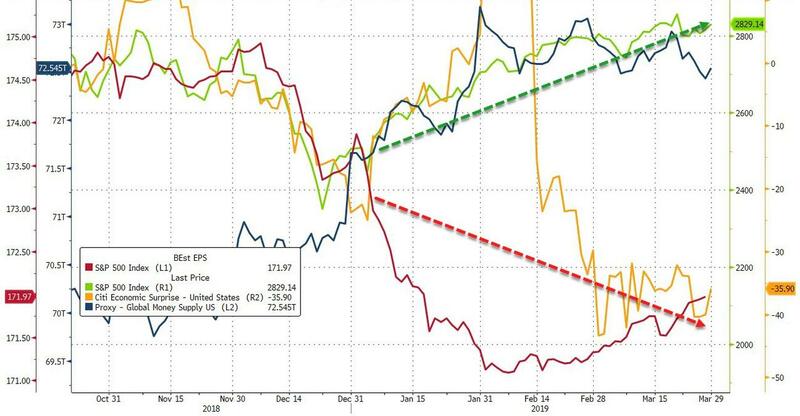 One factor working in favor of Chinese equities is solid breadth. 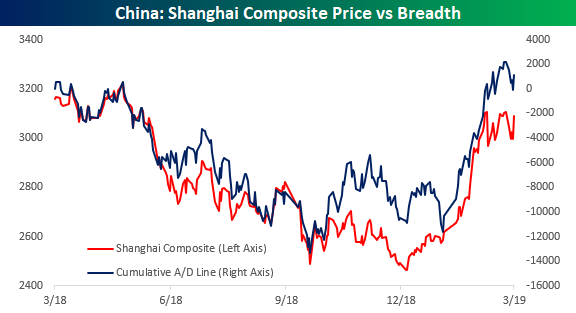 The chart below compares the performance of the Shanghai Composite to its cumulative A/D line over the last twelve months. Ever since late last year, breadth has been leading price to the upside. It started with a positive divergence in late 2018 when prices made a new low (red line) but breadth (blue line) hung in there and has continued right up through the middle of the month when the cumulative A/D line made a new high. 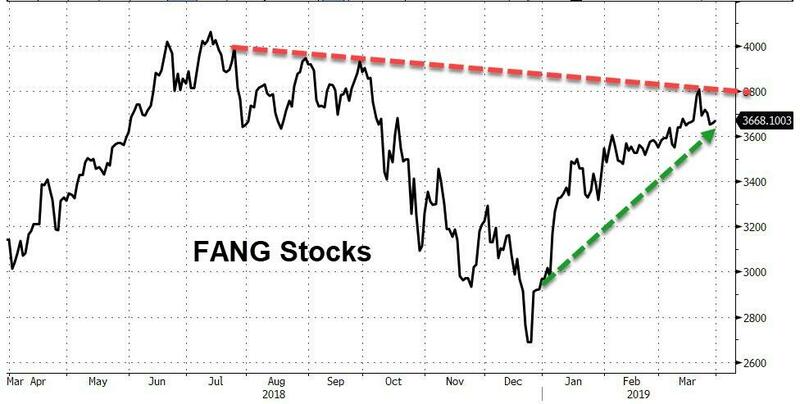 As long as that trend continues to play out, Chinese stocks should continue their leadership. Stockaholics Daily Stock Pick Challenge & SPX Sentiment Poll for Monday (4/1) <-- click there to cast your daily market vote and stock pick! Stockaholics Weekly Stock Picking Contest & SPX Sentiment Poll (4/1-4/5) <-- click there to cast your weekly market vote and stock picks! Stockaholics April 2019 Stock Picking Contest & SPX Sentiment Poll <-- click there to cast your monthly market vote and stock picks! 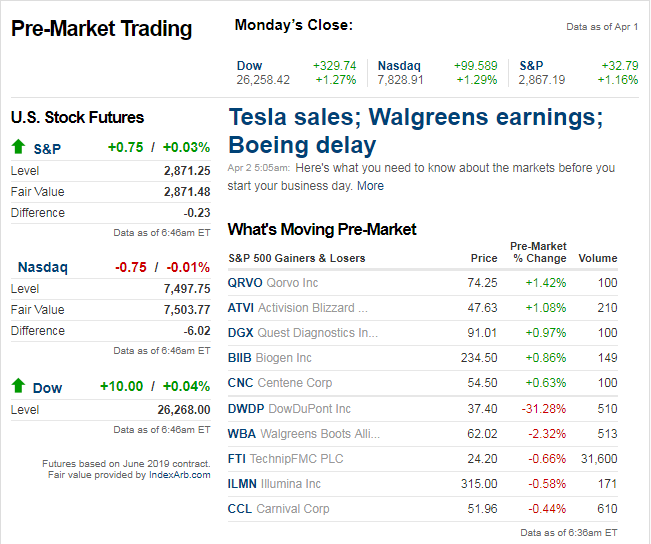 Stockaholics Q2 2019 Quarterly Stock Picking Contest & SPX Sentiment Poll <-- click there to cast your quarterly market vote and stock picks! Stockaholics Weekly T/A Charting Challenge (4/1-4/5) <-- click there to participate! 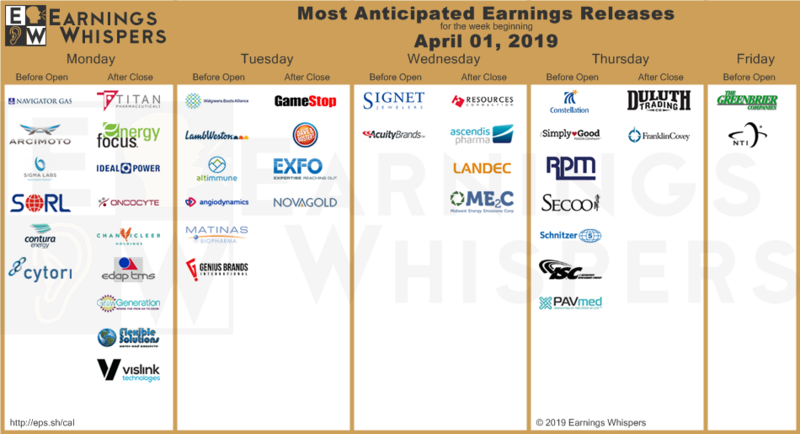 Most Anticipated Earnings Releases for the week beginning April 1st, 2019 <-- click there to view! Good Monday morning to all. Welcome to the new trading month and quarter! Hope everyone has a great trading day, week, month, and quarter ahead. 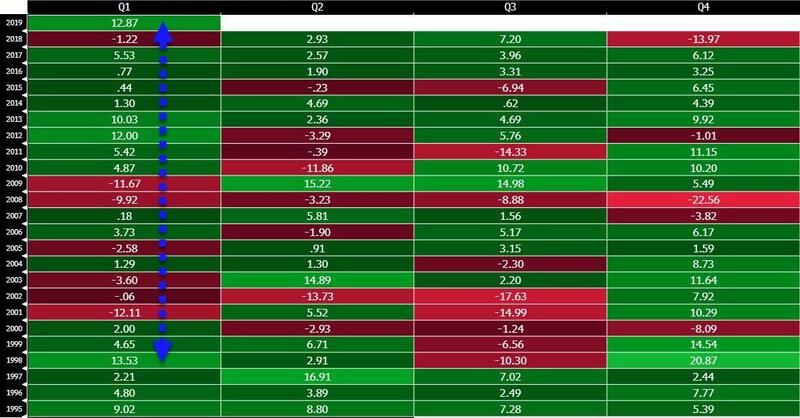 Equity markets around the world are kicking off the new quarter right where they left off in Q1. 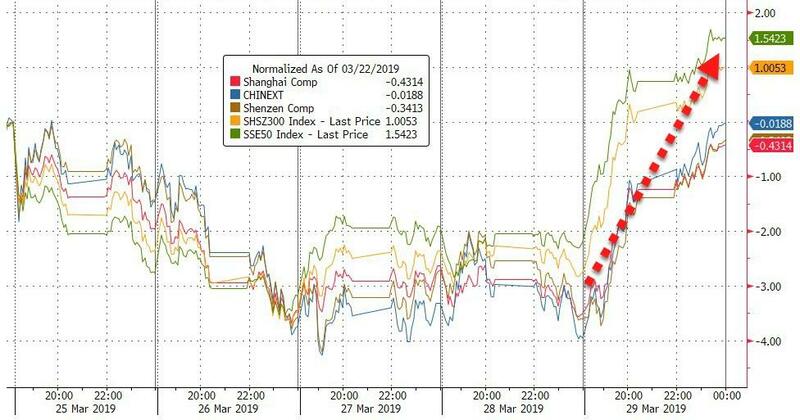 Is Asia, stocks are once again back to “Monday Rally Mode” as stronger than expected PMI data in China has provided a boost. 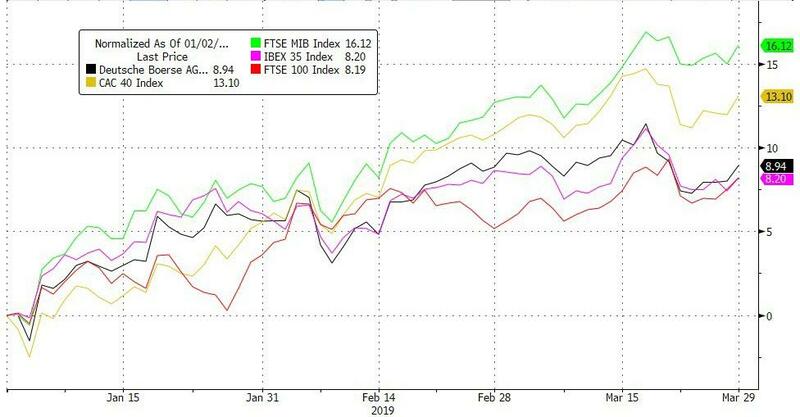 Meanwhile, in Europe equities are higher following weaker than expected PMI data. 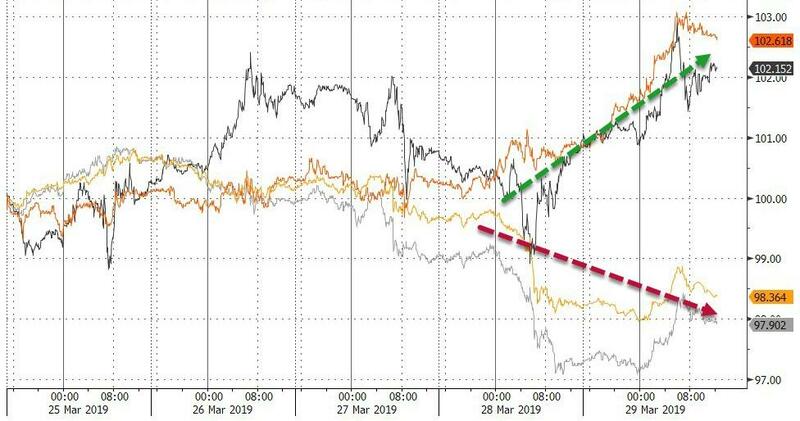 Finally, in the US futures are up over 0.5% and holding onto those gains even after weaker than expected Retail Sales data for February. With just under an hour to go before the second quarter kicks off, we wanted to highlight one last aspect of Q1 that warrants mentioning. Throughout the quarter, we frequently highlighted the market’s strong breadth here in the US (and many other places around the world). 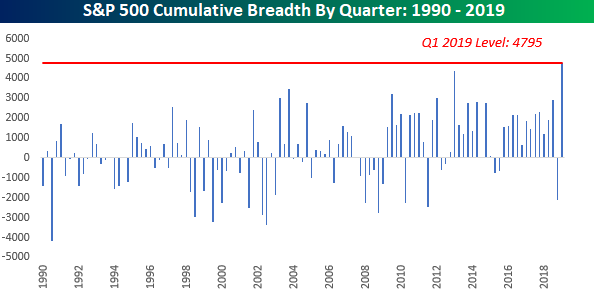 With that breadth holding up strong throughout the first three months of the year, the S&P 500’s cumulative A/D line for the entire quarter went down as the strongest going back to at least 1990 when our records begin. 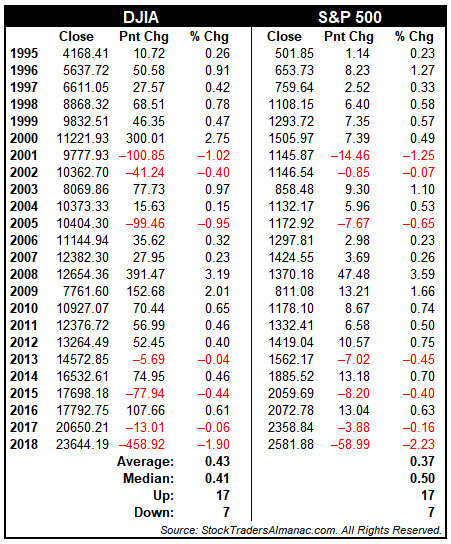 The chart below shows the S&P 500’s cumulative A/D readings for each quarter going back to 1990. Not only was this quarter the strongest, but besides the first quarter of 2013, it wasn’t even really close as no other quarters even had a cumulative A/D line greater than 3,500! 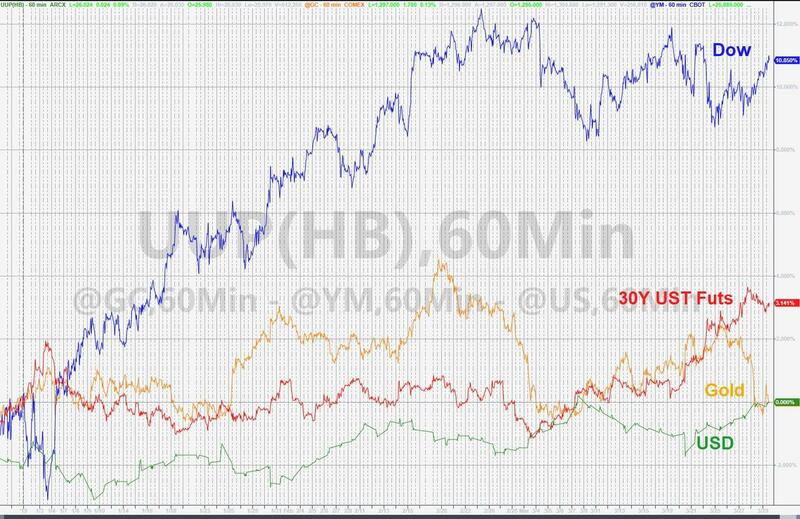 Biotechs, XBI/IBB getting left behind right now. VIX up 0.58% right now, hovering around 13.8. Wonder if it's up because the market is moving 1%. so, this isn't my chart, but thought i would share in here. 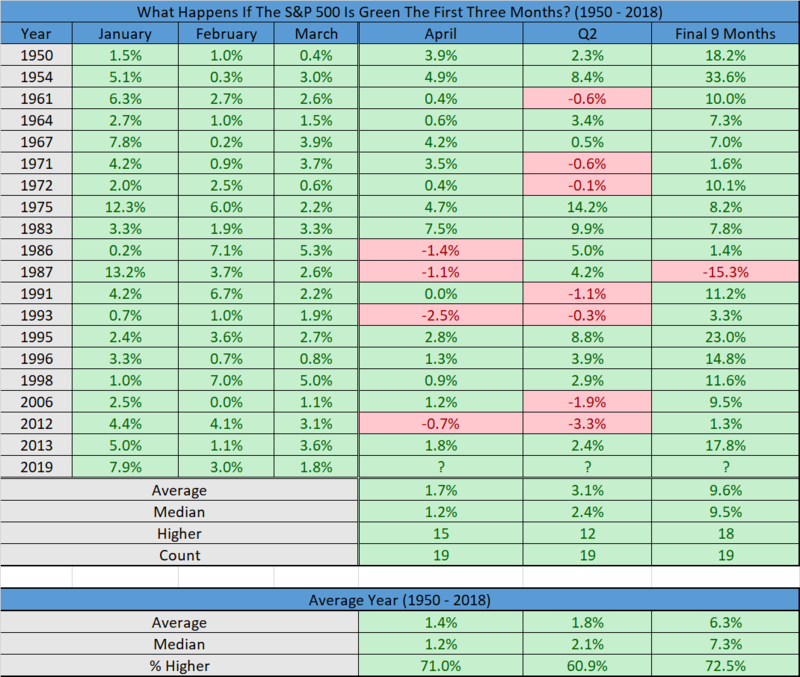 interestingly, when the SPX is higher each of the first 3 months to start the year, like this year has started off, this month (april) and the rest of the year perform better than the average year. 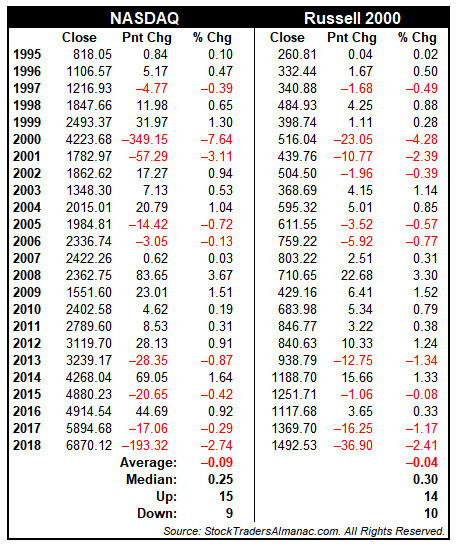 the final 9 months have been up 18 of 19 times (only 1987 was it red ). will we make it 19 of 20 this year? WBA currently -12% after their earnings. Lucky thing for the price-weighted Dow, the share price is small.